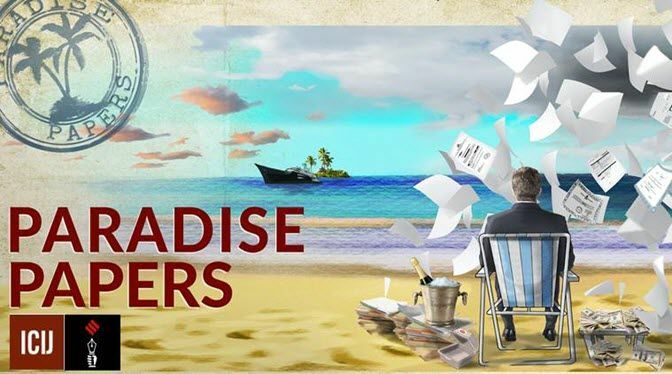 Paradise Papers Meaning: Paradise Papers is a set of 13.4 million confidential electronic documents relating to offshore investment that was leaked to a German newspaper and on 5 November 2017 were released into the public domain. The documents originate from the offshore law firm Appleby, the corporate services providers Estera and Asiaciti Trust, and business registries in 19 tax jurisdictions. They contain the names of more than 120,000 people and companies. Check out the complete list of people, company names from the below article. A year after the Panama Papers, a new set of data taken from another offshore law firm, Appleby, could expose the hidden wealth of individuals, including Indians, and show how corporations, hedge funds, and others may have skirted taxes. Among the 180 countries represented in the data, India ranks 19th in terms of the number of names. In all, there are 714 Indians in the tally. In all, there are 714 Indians in the tally, it reported. Interestingly, an Indian firm figures as Appleby’s second-largest client globally, with at least 118 different offshore entities, it said.